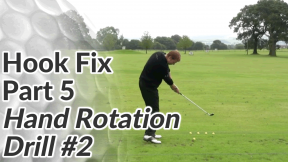 Hook Fix #4 – Drill #1 ← Part 5 of 5 ↻ What Causes a Hook? A hook in golf is usually caused, in part, by hand and forearm rotation that is too aggressive. 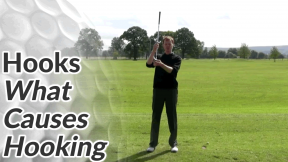 This second drill will help you get the right amount of feel and timing with your hands so that you can hit the ball straight, or with a soft draw. This drill is a progression from another very simple drill, that you may want to watch first (but it’s not essential). 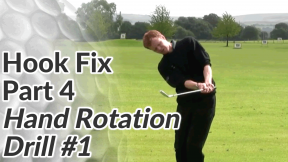 I do, however, recommend you see the anti hook swing path article and video in combination with the video drill below. 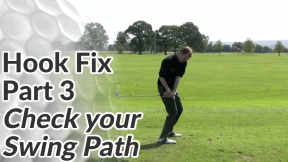 Together, they will help you correct the two faults in most hooked golf shots. 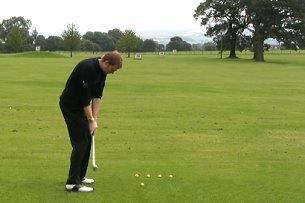 Start by setting up to a ball as normal and then measure one club length down the target line, and place a ball at the end of this club. 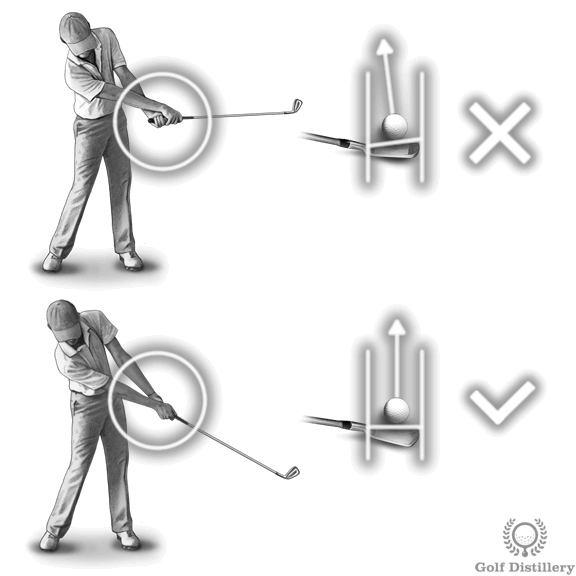 Next, place 3 balls alongside about 4-6 inches apart (or the width of a club head). Start by pitching the ball you’re set up to over the furthest ball – this should produce a big block shot out to the right. 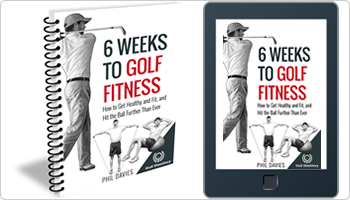 Continue hitting pitch shots over the furthest golf ball until you feel you are competent at this block shot. 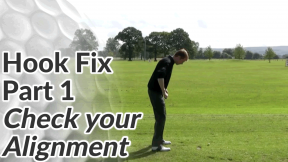 Now increase the power and start aiming your shots over the second ball. 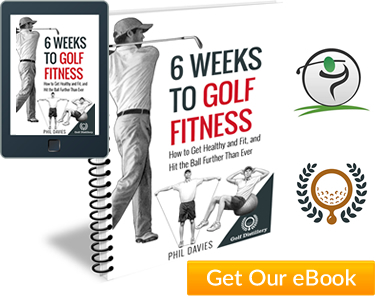 Again when you feel competent, repeat the process with the next ball and then the next ball. Each time increase the power and gradually increase the amount of forearm rotation. You should feel that you gain a valuable education over how much you need to rotate your hands and when they should rotate in order to control your hooking tendencies.